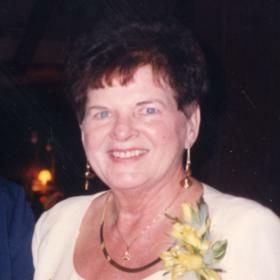 With unending devotion to those around her, Esther Klimawicz was a blessing to everyone she met. Kind and gracious, she was guided by an unwavering faith throughout both the peaks and valleys of her life’s journey. Esther was blessed to share the majority of her life with her true love, and together they experienced so many of the best things that life has to offer. She savored every moment spent with her family, and a friend of Esther’s was a friend for life. Although she will be deeply missed, she leaves behind a priceless collection of memories that her family and friends will forever cherish. It was great to be an American during the vibrant decade of the Roaring Twenties. The days were primarily prosperous ones, and innovation was leading the way to things like radios, motion pictures in both color and sound, and the exciting advancements in the world of flight due to the adventurous spirits of Charles Lindbergh and Amelia Earhart. Amidst this time was a time of great anticipation in the lives of Vincent and Frances (Antczak) Bochniak as they were eagerly awaiting the birth of their new baby as September unfolded in the city of Grand Rapids, Michigan, in 1923. Their wait was over on September 10th when the baby girl they named Esther Celia drew her first breath. The 11th of 12 children, she was joined in her family by her older siblings, Mary, Michalene, Julia, Tony, Valentine, Katherine, Peter, Angeline, Agnes, and Antoinette, and her younger sister, Frances. Sadly, Peter died when he was just two months old. A lifelong WestSider, raised in the family home at 228 Gunnison, SW, Esther was a typical young girl of her generation. Her father worked as a boilmaker on the Pere Marquette Railroad while her mother was a homemaker. The Bochniaks were devout Catholics who were members of Sacred Heart of Jesus Catholic Church, which is also where Esther attended elementary school thru the ninth grade. She was very involved in church and school activities and also loved attending dances at various halls on the WestSide each weekend. Esther went on to attend Davis Tech for 10th through 12th grade. After graduating from high school, Esther took a job at Applied Arts Co. for a few months. When the war broke out in the Untied States on December 8, 1941, she sewed parachutes during the war from 1942 through 1945. Esther then returned to Applied Arts where she worked for 35 years. Not to be forgotten during Esther’s years as a young woman was her introduction to the young man of her dreams. 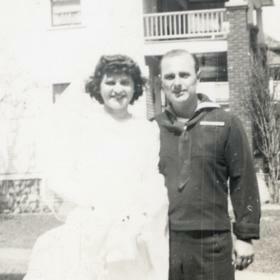 He was a handsome serviceman named Charles “Chuck” Klimawicz, and they met at the wedding of her sister, Agnes. Since he was home from the Navy on leave, he soon returned. 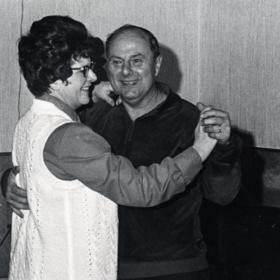 Esther and Chuck corresponded through letters over the following three years, and when he returned home they were married at Sacred Heart Church when she was 21 and he was 24. After a reception at St. Georges Hall, the newlyweds took a honeymoon to Baltimore, Maryland. Chuck was shipped out shortly thereafter but returned home after two months. Eager to begin their new lives together, Esther and her husband initially lived with his parents on Webster Street, NW. They became members of Sts. Peter and Paul Catholic Church. A bit later, the couple bought a home on Webster, NW, and they later bought a home at 910 Veto, NW. Finally, Esther and Chuck built a new home on Woodcrest in 1954, and this was the place she called home for the rest of her life. Chuck’s mother, Theresa Klimawicz, moved in with them following her husband’s death and lived with them for 18 years. They became members of Sacred Heart of Jesus Parish where Esther was a member of the Sacred Heart Altar Society. She also worked on the funeral lunch committee as well as many other parish functions over the years. Esther was devout in her catholic faith, frequently praying the rosary and often watching EWTN Catholic TV. Throughout her life Esther was a woman of many interests. 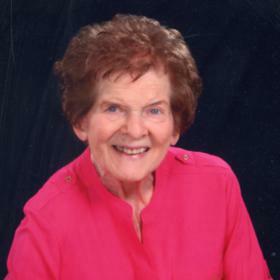 She and her husband loved to golf and were on a golf league together. They often traveled to places like Mexico, Hawaii, out East, Florida, and on several cruises. 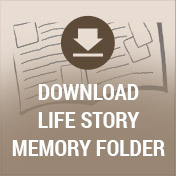 Their travels were often with longtime friends, Susie Howell and Dorothy Williams. Esther and Chuck were a very social couple with many friends. She always attended family events and saw to it that there was a group picture to remember it by. Esther loved going to the beach with her nieces and nephews, often to Little Pine Island or Grand Haven. She knew a lot about their family history as well. Around home Esther loved tending to her flowers, and she also had an amazing garden of vegetables like tomatoes, peppers, and cucumbers. Much of what she grew she froze and canned each fall. Esther did enjoy fishing occasionally.  Life became very different from Esther when her husband developed a bowel infection. 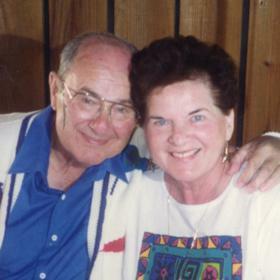 He wasn’t able to recover and died on July 14, 2007, after 62 years of marriage. Although the days and weeks that followed were difficult, Esther’s unwavering faith and strong family ties sustained her. She continued on with life, cherishing family activities and seeing her many friends. Esther loved her daily phone calls to her sister, Sr. Francis Marie or Dorothy Chrusciel. As her own health diminished, Esther stayed home more. She received fantastic care from her wonderful nieces and nephews, Laurie and Bob, Cindy and Don, and Rich and Kathy, as well as from Grand Rapids Caregivers for the last two years. This care allowed her to remain in her own home until she died on Monday afternoon, December 4, 2017. All who knew Esther Klimawicz would agree that she was truly beautiful on the inside and out. She was loving, kindhearted, and faith-filled with a generous spirit that knew no bounds. Through the life she lived Esther exemplified what it means to be the hands and feet of the Lord she loved. She will never be forgotten.